Every year, nearly 2.4 million weddings take place in the United States. For the longest time, the most popular season for weddings was summer. You would see wedding drapes in May, June, and July, according to data from WeddingWire. Now, the most popular months to get married are October, September, and June, in that order. According to The Knot, this shift started happening around 2015. Not long ago, the most popular wedding date was June 18th. Now, according to The Knot Real Weddings Study 2016, the new most popular wedding date is October 7th. In 2015, the number of summer weddings went from 39% down to 33%, whereas fall weddings jumped from 31% to 39%. September sees 15% of all weddings for the year, October has 17%, and November has 7%. According to the 2016 study, 34% of weddings took place in the summer while 40% of couples exchanged vows in the fall. So, what's the reason fall weddings are becoming more popular? There are many reasons couples are choosing to say "I do" in the fall instead of the summer, and here are just a few of them. The lighting: Photos are one of the biggest parts of a wedding, and the lighting during autumn is gorgeous for pictures. The sun sets a little bit earlier, so you can capture the breathtaking sunset in the background of your photos. The backdrop: Speaking of photo backdrops, the fall foliage makes for a near-perfect backdrop. The bright red, orange, and yellow leaves look beautiful in the background of your photos. The dark colors: Often times, brides choose bright and light colors for their summer weddings. In the fall, a darker color pallet arises. Dark blues, deep pinks, maroons, and creamy whites steal the show at fall weddings. 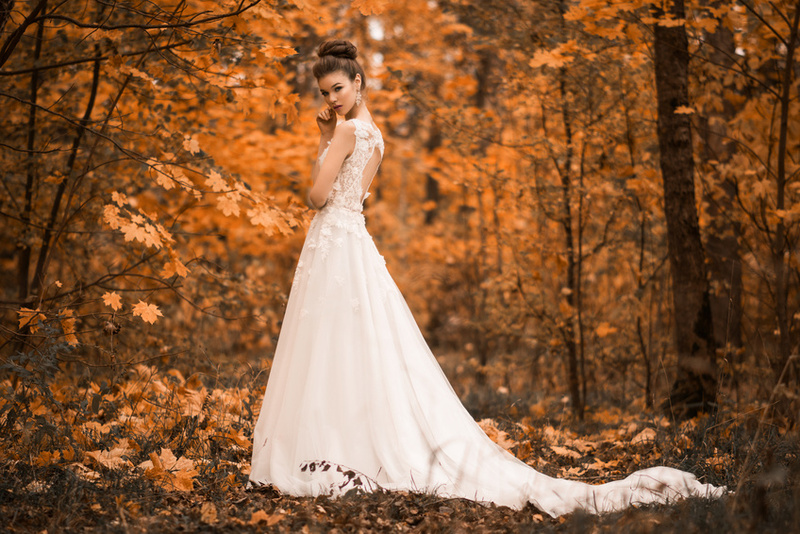 If you're ready for a gorgeous fall wedding, give us a call today. We have all the equipment you need to make the wedding one you'll never forget, from white drapes for a wedding to backdrop poles and much more.